The direct translation for 活到老学到老 is "one is never too old to learn", but the term life-long learning is commonly used to mean this also. Learning is a life-long process, provided we open our minds to learn. As I said earlier in one of my earlier posts, if our mind is up to it there are a lot of things we can do and learn. Take for instance, computer knowledge and skills. Some older people are very much computer savvy (even more advanced than the younger people) but there are also people who just let the knowledge and technology pass them by and refuse to even bother to pick up some basic skills. Even though there are lots of opportunities for us to learn, these opportunities might not be forever with us waiting for us to take it up. There are certain things best learned when we are young. Dr Mahathir once said in an interview that one of his greatest regrets is not having learned how to swim. The great man who can do so many mammoth tasks including running a country laments about not having learned a simple skill like swimming. At his age, it would be a bit inconvenient although not impossible to learn up swimming. It wouldn't be embarassing since he could probably engage a private instructor in a private pool all for his own use. 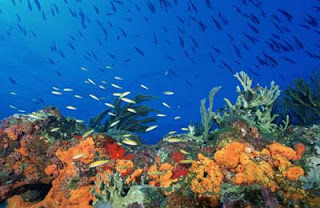 Maybe at 84, and being a heart patient, it might not be advisable even though swimming can be a mild form of exercise. For people who are younger, they should pluck up their courage and learn while they can. The best time would be when you are still a child. But its never too late. The older you get the worse it gets. Swimming is skill which will definitely come handy. Even if you think you will never be in a situation which needs you to be able to swim, it is still a good form of exercise especially as you get older. And it is a sport you can do solo, not having to find company or partners. And when you go for beach holidays, it is a lot more fun if you know how to swim. When I was at Pulau Payar, I had a good time enjoying the underwater sights not having to restrict myself to just snorkelling. Those days, when Batu Ferringhi was still a nice beach we used to swim in the open sea from Rasa Sayang to Casuarina and further. Of course we can't do that anymore. For me, skating, whether ice or roller, is one thing I regret not having learned. At my age it would be both ridiculous and dangerous to attempt it. 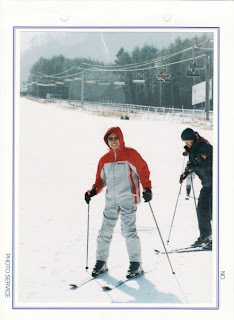 I did have a chance to try out ski-ing during a trip to Korea, of course on a gentle and mild slope. It was quite fun actually once you get the hang of it. Moving, slowing down stopping or accelerating. But since it is something I would probably not do again, I just glided around the gentle slope just for the experience. I have always loved music since young. Coming from a poor family, I didn't have the opportunity to learn music when I was young. So when started working I bought an electronic organ and took up music lessons. I stopped learning when I was too busy studying for my degree. I used to be able to write the notes for a song I heard before and then play it on the organ. 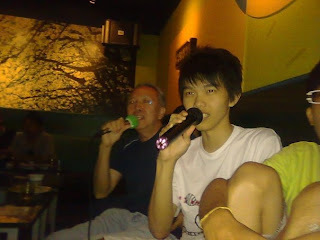 But my knowledge of music is quite elementary even though I did take some music courses as an option in the University. Music is something best learned when you are young. That is why we made sure our children had the opportunity to learn music when they were young. Both my children learned the piano and violin until Grade 8. So the saying "life-long learning" doesn't mean you can still learn when you are old. It means you don't stop learning even when you are old. But certain things should be learned while we are young. Don't let opportunities pass you by. Grab the chance to learn whether you are young or old. When people hear me sing in public, their first reaction is " wah so daring, dare to sing in front of people" Their next is " Eh how come you can sing Chinese songs?" 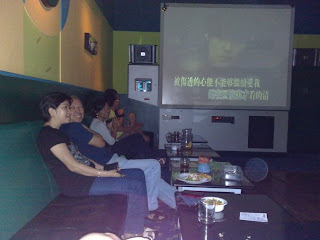 Some people think I sing from romanised pinyin karaoke. But actually I don't look at the pinyin. I read the Mandarin characters. There are only limited very old songs in pinyin and some are not written correctly. I was totally educated in English, then how come I can speak and read Chinese. I can't write in Chinese but I can type in Chinese using the computer. With the internet, translating, writing, checking the pronunciation is not a problem. All you need is a willingness to learn. And also thick skin. If we are worried about people laughing at us we cannot learn anything. In other words we mustn't be inhibited if we want to learn. If you believe in 活到老学到老- Life Long Learning and have a mind set for learning, there are endless things to learn. Sometimes I also learn from my students. It doesn't have to be a one way direction.